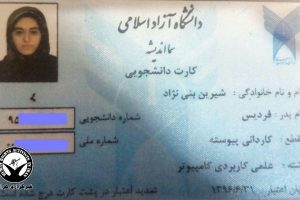 With the commencement of each new academic year, hundreds of the most talented Iranian students who have earned the highest scores in the national college entrance examination come face to face with the next stage in the college entrance process — namely, an inquisition about their religious beliefs, only to discover that because they are Baha’i, they are barred from attending institutions of higher education. This was the exact text of a letter by an Iranian Baha’i youth, who participated with several million other students at the national college entrance exam and ranked in the top 100 in the nation. One is compelled to ask: What is behind the regime’s discriminatory and inhumane outlook, that it would bar its own most able body of college students from further education? When it comes to our Baha’i citizens, it must be recognized that for them to tell a white lie or a convenient falsehood or to conceal their true religion through dissimulation is against everything they stand for and believe in. Indeed in their religion, under no circumstances is it permissible to speak other than absolute truth, and any deed that results in being two-faced or conniving or deceitful is considered the most abhorrent of all deeds. In fact, one could argue that it is this strict adherence to integrity, honesty and truthfulness, and avoidance under all circumstances of lying, dissimulating, or telling half-truths, which has caused untold difficulties and brought much harm upon the Baha’i citizens of our country. Consider: Had the Baha’is been willing to lie about their religion, every one of the hundreds of them who were slaughtered during the early days of Revolution could have saved their lives and walked out of jail. The point is not why the Baha’is don’t lie: the point is that truthfulness is a virtue and we too must learn it. It is a fact that the discriminatory policies and suppression of the Islamic Republic has encompassed all heterodox thinkers, particularly religious and tribal minorities, in addition to marginalizing half of Iran’s population — namely, women of that country. However, discriminatory actions and persistent pressures on the Baha’is of Iran has assumed a completely different dimension, to the extent that this inhuman policy of the Islamic regime regarding our oppressed Baha’i countrymen includes such draconian measures as deprivation of education, exclusion from holding government jobs, and receiving their rightfully earned pensions, and much more. What I have written in the past in some of my essays and commentaries is that the enmity and hostility of the gang of mullahs against the Baha’is of Iran is not a recent phenomenon, but has deep historical roots. This issue goes back 160 years ago to an era when within the corrupt ecclesiastical system of the time a few farsighted scholars recognized the necessity of religious reform within the Shi‘a fold, and invited people in this direction. Within a short time, a massive movement for reform of the Shi‘a creed and an opening for social reform was organized. In truth, more than 50 years before the Persian Revolution of 1906-11, for the first time, the Babis of Iran (the spiritual ancestors of the present-day Baha’is) were the ones who insisted on the fundamental need for civil laws, the equality of men and women, removal of the veil by women, land and agricultural reform, and many such modern concepts. The Babis also taught that the Iran Shi‘a community no longer needed an intermediate between the people and God, known as “mullahs”. That is, each person could communicate directly with God and understand for himself God’s teachings, thereby eliminating the corrupt class of mullahs. This religious belief quickly spread among the Iranians, and many came to recognize that in the Court of the Divine Lord each person stands responsible for his or her own actions, and there is absolutely no need for akhunds or mullahs to tell us the path to salvation or to attend to the affairs of the society. Indeed, the enmity and hostility of the mullahs towards the Baha’is goes back to that time, when some perceptive individuals arose to destroy the corrupt ways of the ecclesiastics in Iran – a clerical establishment which through deceit and false reports from the holy ones had enveloped and submerged the entire society for centuries in the darkness of superstition and backwardness. It was at that time that the mullahs started calling this group of progressive-minded and reformist Iranians [i.e. Baha’is] as the “wayward sect” and issued verdicts proclaiming their apostasy and the legality of slaughtering them. When secular and religious powers were fused into a single entity in 1979 under the name “Islamic Republic”, the mass killings, discriminations and persecutions of religious minorities, particularly the Baha’is, which had been halted during the Pahlavi regime, were now infused with a new vigor. This time, with much greater scope and in a systematic manner, under the leadership of Khomeini, all the killings and harassments were rehabilitated. The new Islamic government promulgated new laws and secret orders to institutionalize discrimination against religious minorities and to give the new waves of persecutions the cover of law. It was during this dark era that pressure, persecution, maltreatment, harm and injury against the Baha’is of Iran, as the result of the historic backdrop that I have explained above, was more intense and extensive than against any other religious minority in our country. In the Constitution of the Islamic Republic of Iran, the only religious minorities which enjoy some measure of recognition are Christianity, Judaism and the Zoroastrian religion. Nowhere in the Constitution are the Baha’is mentioned. That is, their very existence as a religious community is denied by the Islamic government. And this opens the clear and unhindered path for the hoodlums and thugs ruling the government of Iran to continue to call this religion a “wayward sect” and to persist in killing, harming and persecuting its members. 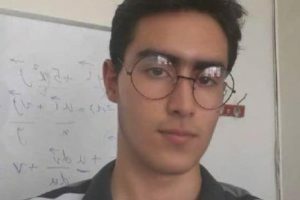 In order to some degree to comprehend the depth of the systematic discrimination of the ruling regime and their anti-human and anti-Iranian laws, it is sufficient only to look at the way that the Islamic regime deals with Baha’i students. Through this, one can understand that a regime that portrays itself as God’s vice-regent on earth actually deprives our Baha’i countrymen of one of the most basic civil rights — namely, the right to education. The right to education is among the most basic and fundamental rights that every country on earth has recognized for its citizens — every government adheres to this vital right. I cannot think of any other location in the world, other than the Islamic Republic of Iran, where we can find a society that deprives its citizens of the right to study, continue their education and attend institutions of higher education solely on the ground of religion. 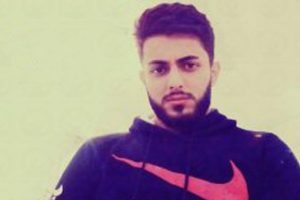 Nowhere else in the world, other than the backward and ignorant men ruling Iran, can we find a regime that merely for their political or social views would expel students from university, would imprison, torture and then summarily execute them in the most brutal way. In the final analysis, defending the right of Baha’i students to education and access to universities must remain the foremost objective of all student activists and all groups engaged in bringing about human rights in Iran. We must discard the shameful slogan of a “wayward sect” which ill-intentioned mullahs conceived over a century and a half ago against our hapless Baha’i citizens, and which they have with the loudest voice used to subjugate this religious minority. We must recognize the Baha’i Faith and afford this group of Iranians full religious recognition. We must all embrace the dictum of “religious liberty” and the “equality of all religious groups in Iran”. We must never lose sight of the line that divides true reform and the true defense of human rights, from those who falsely use “reform” and “human rights” to gain power and subjugate other citizens. We must stand up for every form of liberty, equality of rights, the rights of minorities and religious groups, respect for those who think differently than us, and elimination of all discrimination in favor of the Shi‘a creed in the Constitutional Law of Iran.